This website (excluding any sites that are linked to it) is managed by Tata Motors Ltd., a company that has its registered office at Bombay House. The Sales and Marketing Headquarters are located at Tata Motors Ltd., 4th floor, Ahura Centre, Mahakali Caves Rd, Shanti Nagar, Andheri East, Mumbai - 400093. By accessing the website, you accept that you are bound by this legal notice. If you are not willing to abide by this legal notice, do not use this website. Other websites of Tata Motors Ltd may contain different terms and conditions and you should read those separately. This website belongs to Tata Motors Ltd. and Tata Motors Ltd. may, in its sole discretion and at any time, modify or discontinue this website or specific portions of it. Tata Motors Ltd. owns the copyright for all of the material on the website or has a valid right from a third party to use material on the web site. Tata Motors Ltd. also owns or has a valid right to use all trademarks, service marks, and trade names used on this web site. No part of the website may be copied, reproduced, republished, uploaded, posted, transmitted, or distributed in any way, except that you may download one copy of the materials on any single computer for your personal, non-commercial home use only, provided you keep intact all copyright, trademark and other proprietary notices on the materials. Any modification of the materials or use of the materials for any other purpose is a violation of Tata Motors Ltd.’s copyright and other proprietary rights. The use of any such material on any other website or computer network without Tata Motors Ltd.’s written consent is strictly prohibited. Your use of the trademarks, service marks and trade names on this website in any manner other than as authorized in these terms and conditions, or as authorized in writing by Tata Motors Ltd., is strictly prohibited. Tata Motors Ltd. controls and operates this website from India . Unless otherwise specified on or by this web site, this website is intended to promote only those Tata Motors Ltd. products that are sold by Tata Motors Ltd. in India and its territories, and Tata Motors Ltd. makes no representation that materials in this website or the products described thereby are appropriate or available for use in other locations. All visitors to this website are responsible for compliance with all Indian laws applicable to them with respect to the content and operation of this web site. For your convenience and enjoyment, this website may provide links to other web sites on the World Wide Web that are not operated by Tata Motors Ltd.. These links do not mean that Tata Motors Ltd. endorses, approves or sponsors any information available at the linked site or any products that may be sold there, nor is Tata Motors Ltd. liable for any damage that might result from your use of such information or products. The materials in this website (including any graphics, software, recommendations or other materials) and any materials made available through this website are provided "as is" and without warranties of any kind, either express or implied. To the fullest extent permissible pursuant to applicable law, Tata Motors Ltd. disclaims all warranties, express or implied, including, but not limited to, all implied warranties of merchantability, fitness for a particular purpose, title and non-infringement. Tata Motors Ltd. does not warrant or make any representations regarding the use or the results of the use of the materials in this website in terms of their correctness, accuracy, reliability, or otherwise. The materials in this website could include technical inaccuracies or typographical errors. These materials could be inaccurate or become inaccurate as a result of developments occurring after their respective dates. Tata Motors Ltd. undertakes no obligation to verify or maintain the currency of such information. Certain links in this website may link you to other sites on the worldwide web. The linked sites may not be under the control of Tata Motors Ltd. and Tata Motors Ltd. is in any event not responsible for the contents of any linked site or any link contained in a linked site, or any changes or updates to such sites. Tata Motors Ltd. is not responsible for webcasting or any other form of transmission received from any linked site. 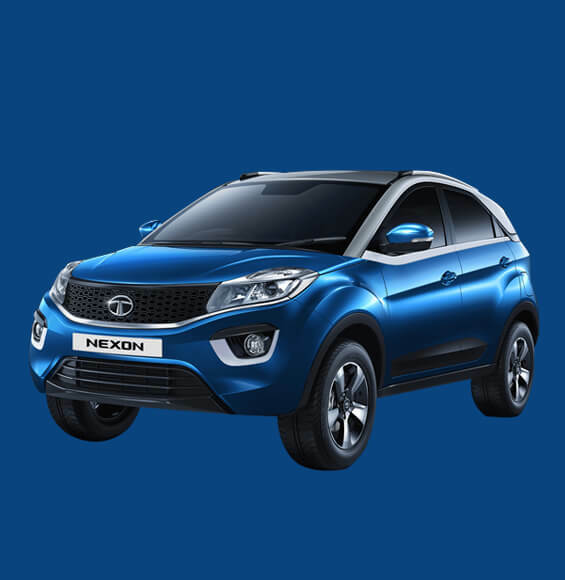 Tata Motors Ltd. is providing these links to you only as a convenience, and the inclusion of any link does not imply a referral by Tata Motors Ltd. to, or an endorsement by Tata Motors Ltd. of, the linked site or any products or services which may be offered there. Tata Motors Ltd. endeavors to maintain this website and its operation, but is not, and cannot be, responsible for the results of any defects that may exist in the website or its operation. As to the operation of the web site, Tata Motors Ltd. expressly disclaims all warranties of any kind, whether express or implied, including, but not limited to all implied warranties of merchantability or fitness for a particular purpose, title and non-infringement. Tata Motors Ltd. makes no warranty that (i) the operation of the website will meet the user's requirements; (ii) access to the website will be uninterrupted, timely, secure, free of viruses, worms, trojan horses or other harmful components, or free of defects or errors; (iii) the results that may be obtained from the use of the website will be accurate or reliable; or (iv) defects will be corrected. You (and not Tata Motors Ltd.) assume the entire cost of all servicing, repair, or correction that may be necessary for your computer equipment and software as a result of any viruses, errors or any other problems whatsoever you may have as a result of visiting this web site. Under no circumstances shall Tata Motors Ltd. be liable for any damages or injury, including any direct, special, incidental, consequential, punitive or other damages, that may result from the use of, or the inability to use, the website or any materials in this site, whether in an action of contract, negligence or other tortious action, arising out of or in connection with the use or performance of the website or information available in the web site. Tata Motors Ltd. shall not be liable even if Tata Motors Ltd. or a Tata Motors Ltd. authorized representative has been advised of the possibility of such damages. These include but are not limited to damages or injury caused by error, omission, interruption, defect, failure of performance, delay in operation or transmission, line failure or computer virus, worm, trojan horse or other harmful component. This website may provide a Help file or other instructions for the use of this site. However, you understand that Tata Motors Ltd. is under no obligation to provide any support for the use of the website.